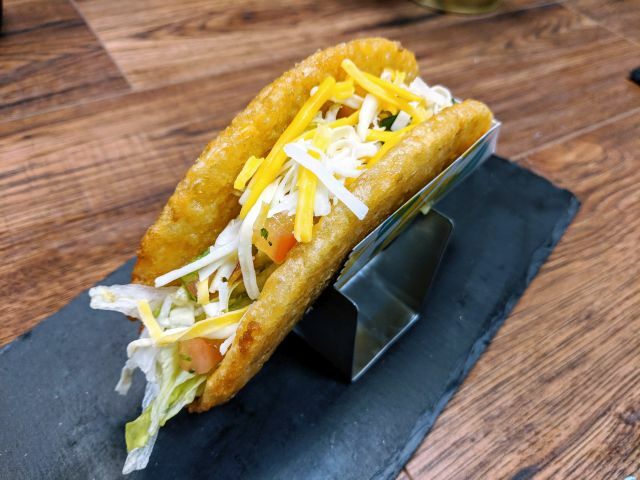 Taco Bell's Potaco is a recently-introduced vegetarian menu item over in India and features a crispy-fried potato taco shell seasoned with Mexican seasoning folded around a filling of spicy ranch sauce, lettuce, Fiesta salsa, and shredded cheese. While you can't get it here in the States, I was able to try it on a recent visit to Taco Bell headquarters in Irvine, CA. 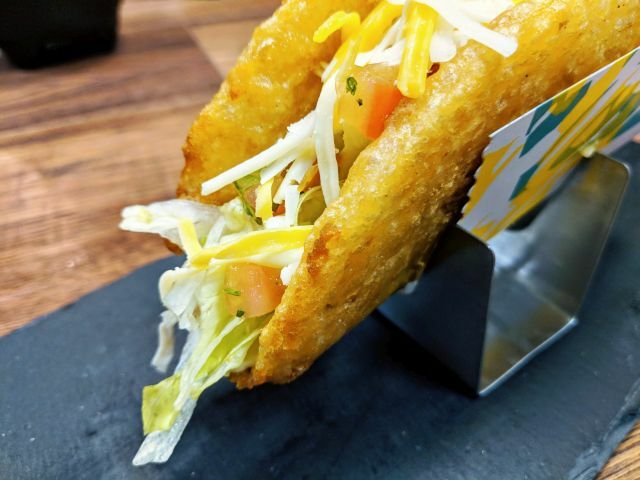 The Potaco shell is basically a thin hash brown with an impressively crunchy crust. It tastes like a regular hash brown but with a potent dose of heat to it. 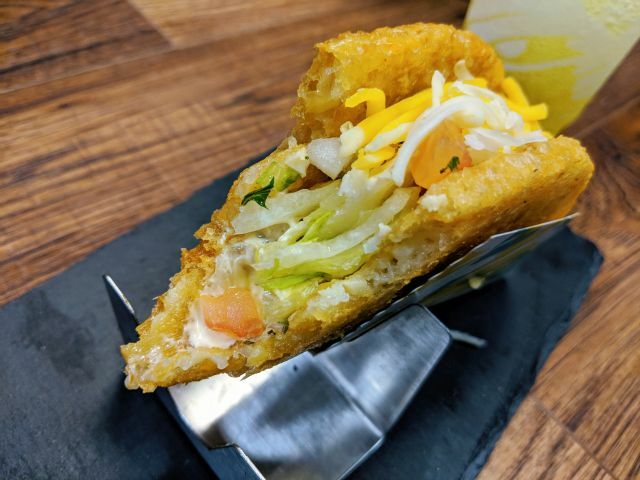 Other than the shell, the filling should be very familiar to anyone who's eaten a crunchy Taco Supreme as it's much the same but with spicy ranch instead of sour cream. The spicy ranch joined by the Potato shell is meant to deliver enough heat to satisfy the Indian consumer, which probably makes it spicier than is comfortable for the average US consumer. I really enjoyed the Potaco shell for its exceptionally satisfying crunch. It's far superior to the regular hash browns that Taco Bell offers here in the US for breakfast. Here's hoping they try offering it here as I could see if working very well as part of a breakfast taco. I'm also curious to see how it would taste with the chain's signature seasoned beef.